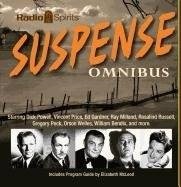 The Old Time Radio Scripts Page! See below for what is new on the site or click on a letter under "Radio Scripts". Scripts are listed by the first noun in the title. - Enjoy Radio Scripts from the Golden Age of Radio! Husband-and-wife aristocrats prepare to face the guillotine in this poetic dramatic sketch starring Leslie Howard and Merle Oberon. The Los Angeles Police Department's Sgt. Joe Friday investigates an old-time movie actor who writes bad checks. "Mrs. Rogers was the kind of a lady to whom nothing ever happens -- a quiet widow, living in a quiet town, among quiet friends. But dear Mrs. Rogers hardly expected to become involved in murder when she put that innocent little classified ad in the evening paper. Things weren't *that* quiet." An elderly aunt grows suspicious when she takes a part-time job with a mysterious publishing company. "I still do not know whether it was the shadow of the madness to which the author himself so tragically succumbed --- or whether there really was an evil something that could not be seen or described. Well, why don't you decide for yourself?" Guy de Maupassant's classic horror story as adapted for actor Peter Lorre. A radio announcer describes a nameless city's reaction to the arrival of a conquering enemy. Archibald MacLeish's allegorical verse play is one of the few vintage American radio dramas that was able to claim a serious literary reputation.